London College of Communication (LCC) is to host a discussion around race equality in creative higher education on January 23, with the aim of generating ideas to form strategies for long-term change. 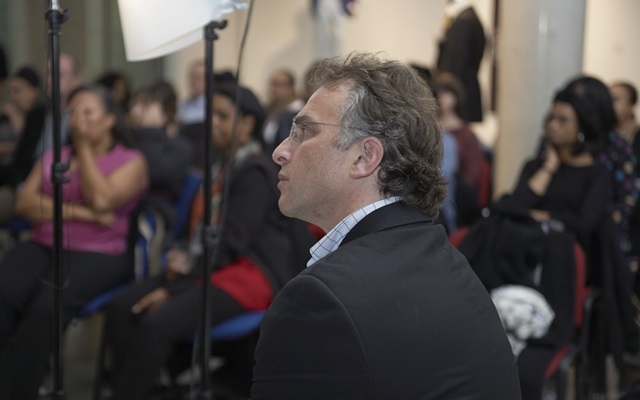 Located in Southwark, one of London’s most ethnically diverse communities; LCC is the perfect setting in which to engage the public with an important discussion around the need for race equality within arts and media higher education. The debate has been organised by Shades of Noir, a long term project and movement for change across University of the Arts London aimed at tackling the degree attainment gap between black and minority ethnic and white home students. “Race equality in arts and media higher education is vital, both as the UK is becoming more ethnically diverse and given the financial importance of the creative sector to the UK economy. Among the impressive line-up of panellists participating in the debate are ITV news presenter and broadcast journalist Charlene White, who has anchored many special programmes including a debate on the role of young Muslims in the UK, the July 7th bombings, the devastation caused by Hurricane Katrina, and the siege in Beslan. The degree attainment gap at UAL between white home students and minority ethnic students currently stands at 24 per cent. “At UAL we are committed to tackling the degree attainment gap to ensure that race equality is a reality and not just an ideal. This is crucial not only to the HE and creative sectors but to the wider economy and society at large. Charlene White has ten years’ international experience as a broadcast journalist, news presenter and producer and currently works for ITV as one of the main presenters of London Tonight. During her highly successful career she has also worked as a feature writer for the New York Post, a senior broadcast journalist at the BBC on radio and TV, and a production journalist at ITV Meridian. Carolyn Bew currently works at the Higher Education Academy as a leader in Art and Design. She has extensive experience in teaching art and design in both further and higher education and is currently undertaking a PhD examining the relationship between drawing and gesture at Kingston University. Kanja Ibrahim Sesay is currently undertaking a MSc in Diversity Management and works as an attainment officer at the University of Bradford. He previously graduated with a degree in law and history. He is a former National Black Students' Officer as well as the national conveyor of the NUS' Anti-Racism/Anti-Fascism Campaign for the National Union of Students (NUS) 2010-2012. Nixi Cura is a graduate in East Asian Studies and a specialist in Chinese painting, Buddhist art and Romanesque art. She has published a cultural biography of the Admonitions scroll during the Qianlong reign and is currently working on an edited volume for the University of California Press entitled Lost Generation: Luo Zhenyu, Qing Loyalists, and the Formation of Modern Chinese Culture. Simon Woolley is co–founder and director for Operation Black Vote, the first comprehensive campaign to focus exclusively on the Black and minority democratic deficit.He is also a former chair of the Equality and Human Rights Commission and Interim Chair, ‘Europe: Open for us’ Open society foundation. Chair, Anthony Ebanks is an International Transformation Architect who supplies change management and professional training to both government and commercial bodies. Anthony's work has affected change within a range of organisations including D&AD, BBC, Sky, and Pearson Government Solutions. Film Review: Is Attack the Block an attack on blacks?